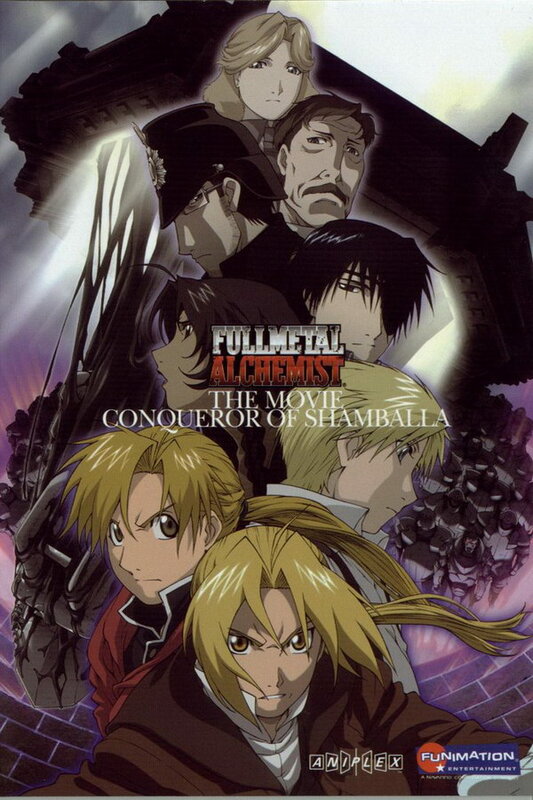 Fullmetal Alchemist font here refers to the font used in the poster of Fullmetal Alchemist the Movie: Conqueror of Shamballa, which is a 2005 Japanese animated movie that tells the story of alchemist Edward Elric who attempts to return to his homeland. Two fonts were used for the titles in the poster. For the title “Fullmetal Alchemist”, it is probably based on Geometric Slab Serif 703 Extra Bold Condensed, a Bitstream’s version of Memphis designed by Rudolf Wolf. For the subtitle, it is set in Baskerville Roman. Both are available as commercial fonts and you can view more details about it here and here respectively.